A humidifier is an essential device that you should have in your home especially if you have a baby as it will ensure that the air is clean and humidified. 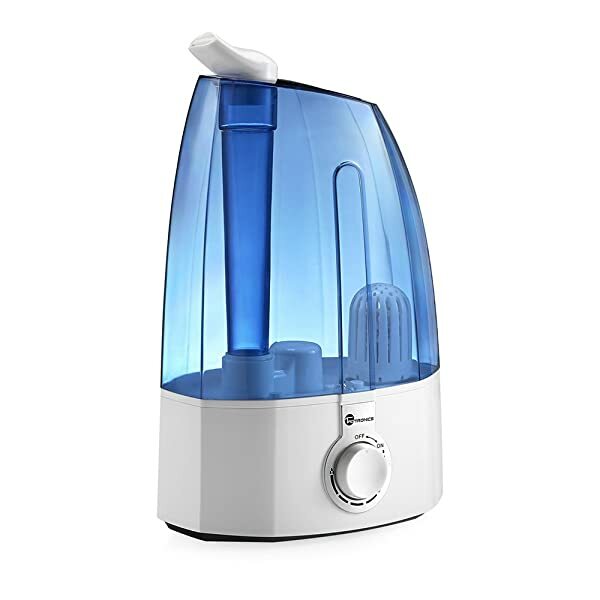 The TT-AH002 is a humidifier from Tao Tronics that operates using Ultrasonic technology. It has a special filter that gets rid of harmful bacteria and bad odors to ensure that you get to breathe fresh air. Other things that make it an excellent machine include the large water tank, auto shut-off feature, a classic dial knob and two 360 degree rotatable outlets. Filter: If you choose the baby version it comes with an extra fine ceramic filter that will remove bad odors and harmful bacteria and hence promoting the health of your child. Technology: Just like most other humidifiers from Tao Tronics it operates using Ultrasonic technology. This technology will infuse your room silently with clean hair for many hours so that can enjoy a comfortable sleep. Control Knob: Comes with a classic control knob that will give you the ability to adjust the mist level easily and fast. Auto Shut-off: This machine will shut down automatically when it detects that the water level is low, and it will also give you a warning with a red LED indicator. Tank: This humidifier has a large 3.5-liter tank, and this means that you will get up to 10 hours of operation without having to refill. And this makes it ideal for use in homes and offices. 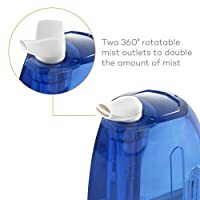 360 Degree Rotatable Outlet: With this machine you can be able to direct the mist in any direction that you wish. And this is because it has two outlets that can rotate 360 degrees. Noise Level: It has a noise level of less than 35dB, and this means that it has a quiet operation, and hence it will never disturb your sleep. It has an aroma diffusing feature that will ensure that hair is clean and smells fresh. The 3.5-liter tank will take you for many hours without having to refill it. This humidifier comes with an easy and straightforward user manual that will help make things easy for you. Just like most other modern devices it has an auto shut off and other safety features. Its lightweight and compact design make it very portable. The carrying handle is small, and so it will be hectic to move it from one place to the other. It has a tall tank that is also quite slippery and so refilling it will be a problem. It is louder than other advanced models on the market. 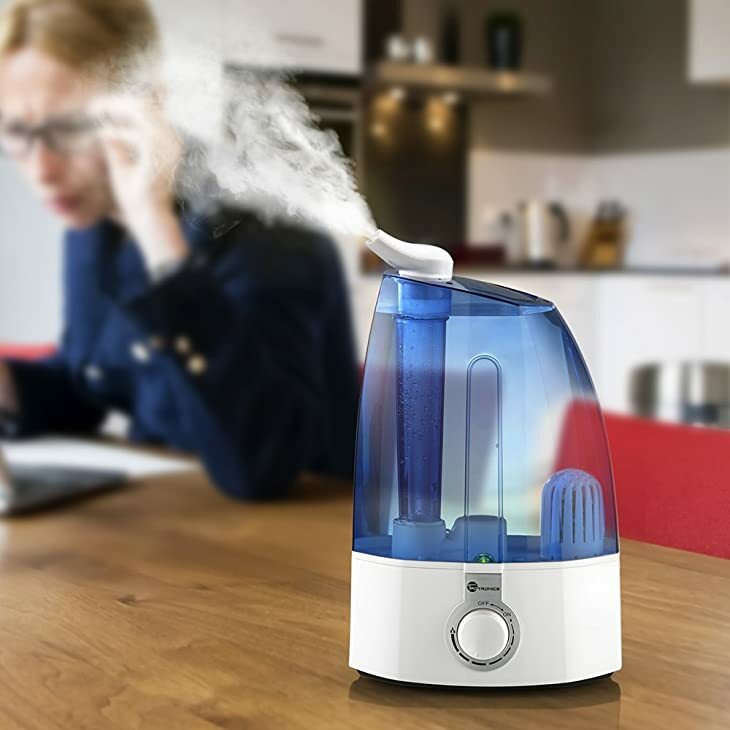 It is almost impossible to find a humidifier that is flawless, and so you should always go for something that is close to being the best humidifier for baby. The TaoTronics TT-AH002 is one of the few in the market that almost have no flows except a few minor things that do not affect its performance. And so if you are looking for a machine that will ensure that your baby breathes clean and humidified air then this is an excellent choice for you. And the best thing is that it will cost you less than what you would expect to pay for other brands with similar capabilities. Are Mattress Pads Safe For Cribs? Baby Falls Asleep While Breastfeeding: Is It A Big Deal?